LEARN TO FLY FLOATS FROM THE PROS! 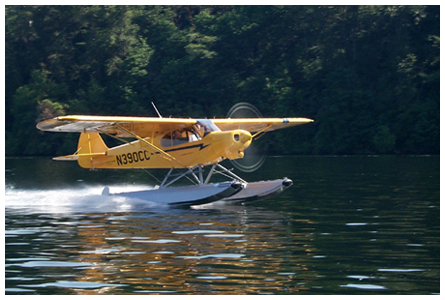 No operator in the country has more seaplane experience than Kenmore Air... so why would you get your rating anywhere else? We provide initial seaplane training in a classic 150hp Piper SuperCub , a CubCrafters 180hp update of the Piper SuperCub, and a C-172L. All are amazing airplanes in which to discover the unique freedom of float flying in the beautiful Pacific Northwest. The minimum requirements to begin our course are a Private Pilot Certificate and a current FAA Third Class medical. This package is designed for the proficient private or commercial pilot who learns at a fast pace. This package is designed for private or commercial pilots who want take their training at a more relaxed pace and often allows time to hone the skills you've learned and explore some of our beautiful mountain lakes. Examiner's fee not included. Price is in US dollars and excludes applicable sales tax. Price subject to change. Six hours of instruction based on average time to complete rating. Actual time required may vary depending on pilot proficiency. Additional instruction time charged at standard published rates per hour plus applicable sales tax. Funds not used during course will remain on account for 1 year from date of seaplane rating. Call or email to schedule your training today!